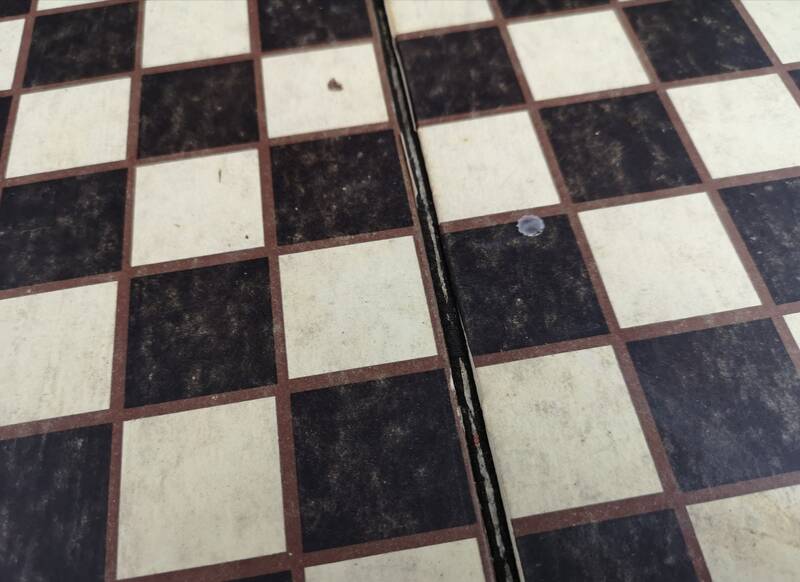 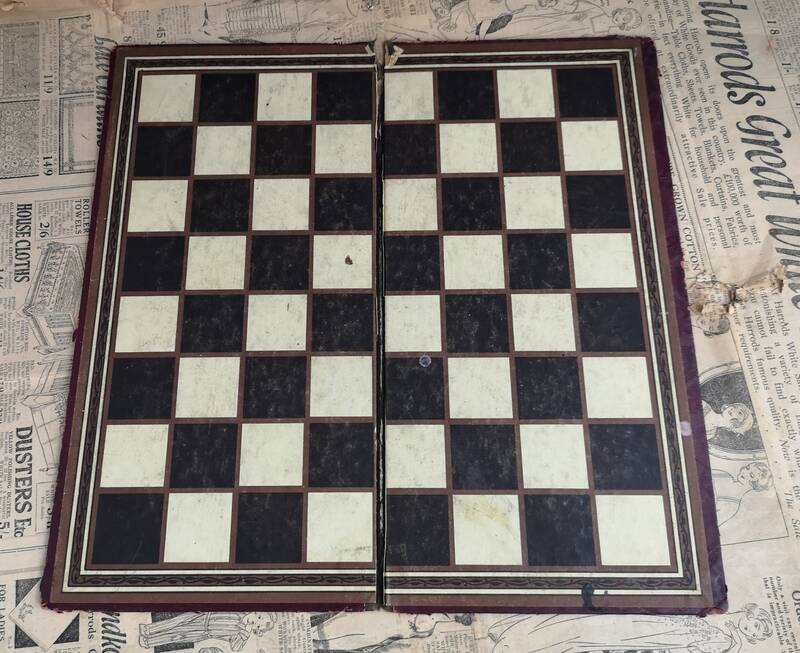 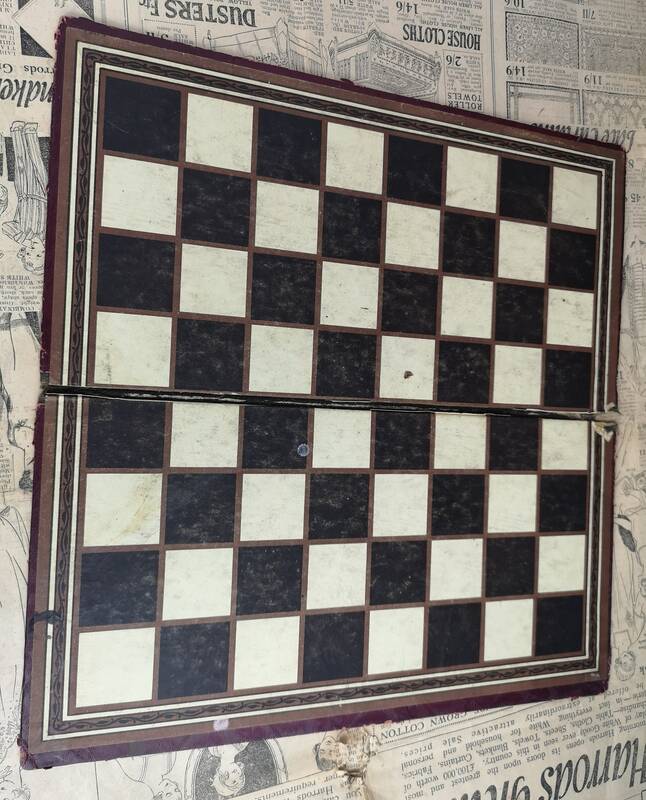 A charming and slightly distressed vintage 30's chess board, could also be used for other games such as draughts. 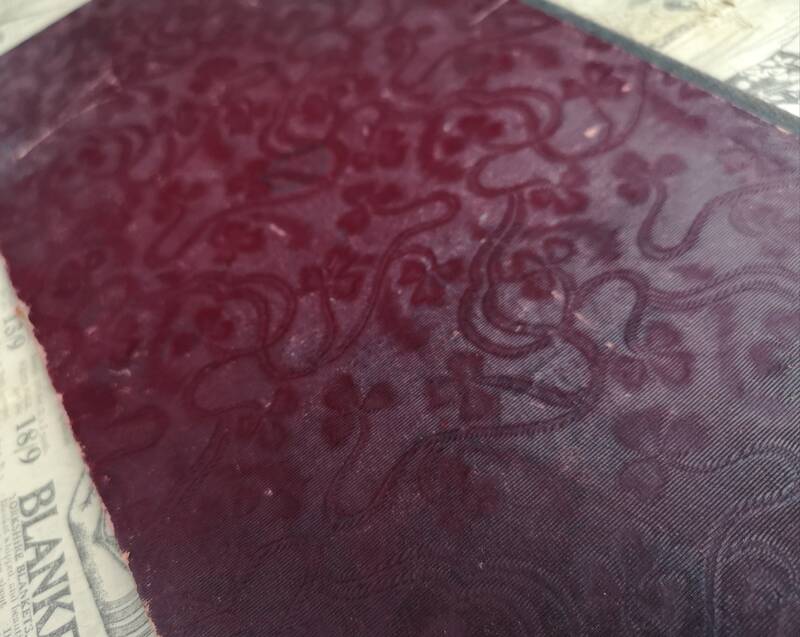 English make it has a lovely outer cover in a deep wine red embossed with shamrocks, so it has to be a lucky board! 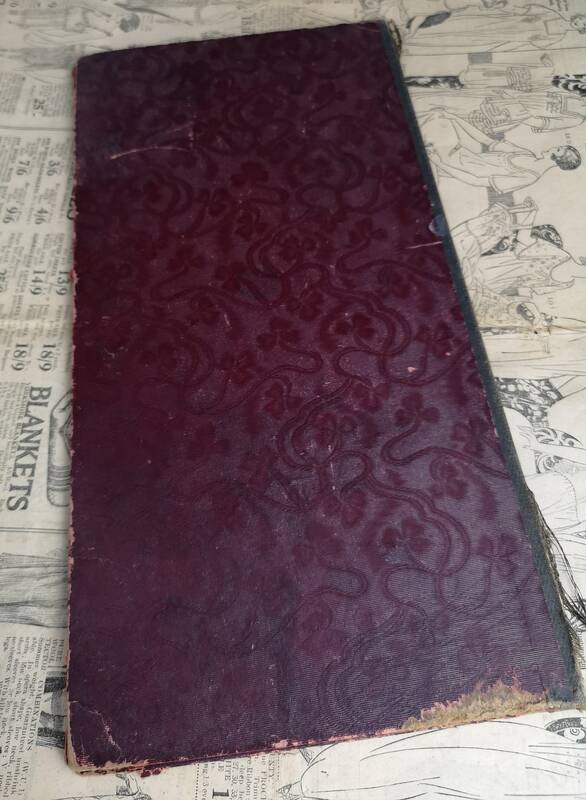 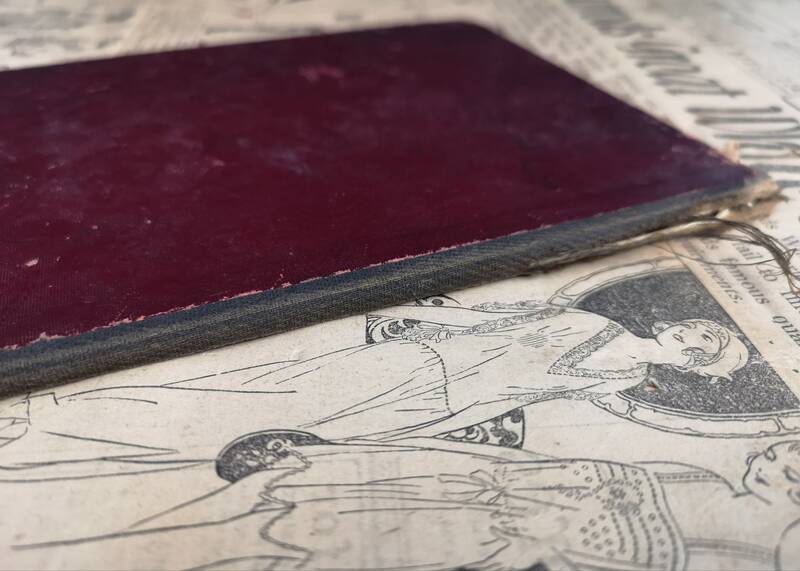 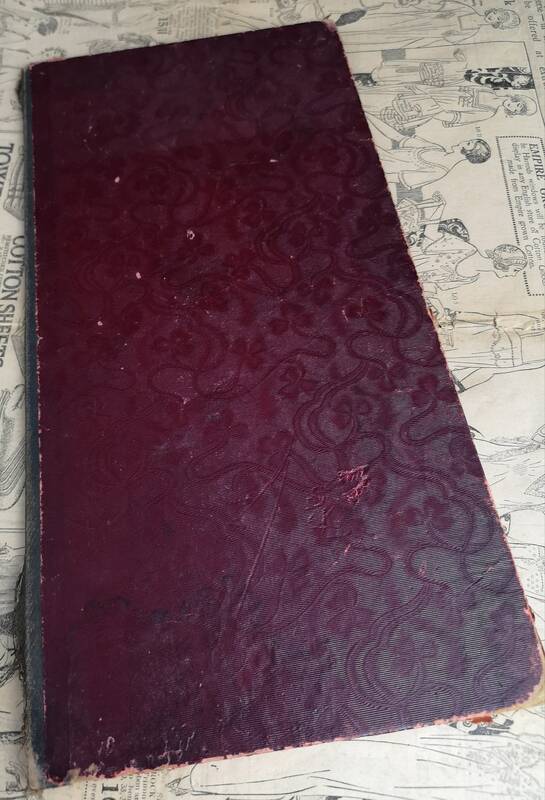 It is slightly detached in the centre down the crease not all the way through but loose, it shows its age and it has been used a lot but its still got a bit more left to give.